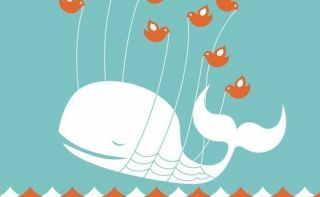 Maybe he just hit the fail whale? A music executive was arrested in Canada for failing to Tweet, after the police asked him to help disperse a crowd assembled to greet a teenage pop singer. In an attempt to control the throng, which was in danger of becoming violent, the police asked the singer's record label to send out a Tweet asking for calm. When this didn't happen they then arrested vice president of Def Jam records James Roppo for a series of misdemeanours, including endangering the welfare of children and obstructing governmental administration. "We asked for his help in getting the crowd to go away by sending out a Twitter message," said Nassau County Police Det. Lt. Kevin Smith. "By not cooperating with us, we feel he put lives in danger and the public at risk." We're now fully expecting a spate of arrests in Canada for such public misdemeanours as 'Not Poking back when prompted' and 'failure to correctly divvy up World of Warcraft loot'.